Harley Davidson Street Glide Special price in Pune starts from Rs. 30.53 lakh (Ex-showroom). Street Glide Special is available in only 1 variant. 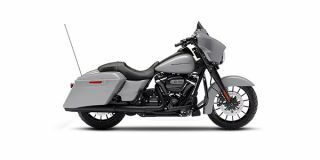 Harley Davidson Street Glide Special's top competitors are Harley Davidson Road King (price starting at Rs. 24.99 lakh in Pune) and Harley Davidson Road Glide Special (price starting at Rs. 32.99 lakh in Pune). Share your experiences with Street Glide Special?